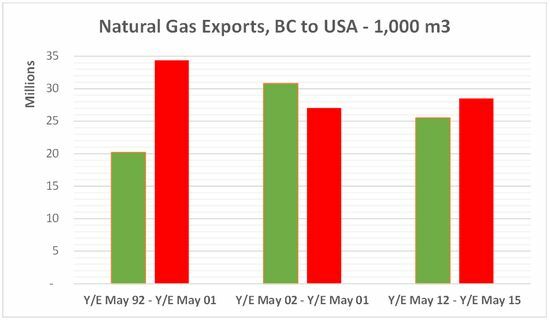 The numbers show that despite lower government imposts, reduced environmental constraints and advanced technology, growth in natural gas exports has been negative, having declined materially under BC Liberals. That information is contrary to the "desperate times" meme about life in British Columbia before Premier Gordon Campbell. In Shepard's lexicon, apparently "not pretty" means the opposite of what we usually expect. Compared to the NDP's nineties, the time of Liberal rule has resulted in lower growth rates for GDP, jobs and personal income. It's also meant that urban housing is less affordable, that higher education is less accessible and our tax system is less progressive. In other words, while Liberal times may have been good for the wealthiest 10%, they've not been good for the remaining 90%. No doubt, it was the former rather than the latter group that Shepard had in mind. I know the socialist-communist thinking is that everything should be nationalized and controlled. If you had your way, you probably would nationalize mining, nationalize natural gas. You would nationalize everything, because you don't believe in the private sector. That's what they are - they're socialists, they're communists. That's what W.A.C. Bennett used to say, "The socialist hordes are at the gates." People should start to think about that. The next graph is not directly related but it illustrates points made frequently at In-Sights. 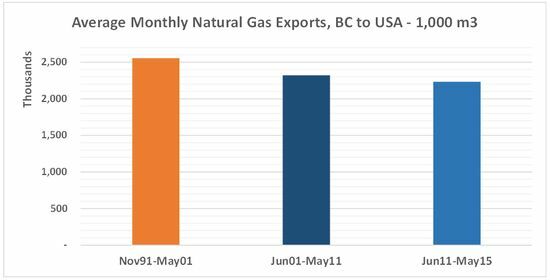 BC Liberals achieved a surprise victory in the 2013 election but they did it with a platform of lies, claiming that revenues from natural gas would lead to a debt free province with surplus jobs and tens of billions of dollars available for healthcare and education. Premier Photo Op's precious Pamela pal even promised a "trillion dollar Prosperity Fund." 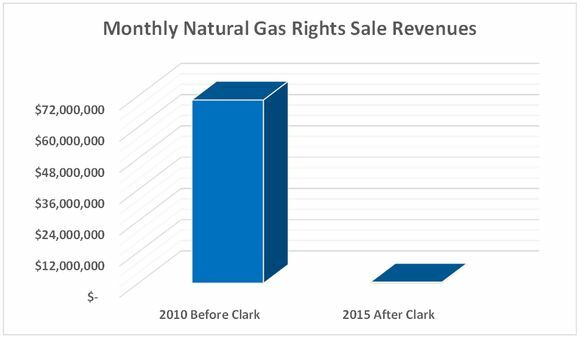 Instead, provincial coffers are almost devoid of natural gas revenues. It's been bad for a few years and it's getting worse, not better. Much of British Columbia's recent political history has been written by a Liars Club sponsored by beneficiaries of corrupt public administrations. 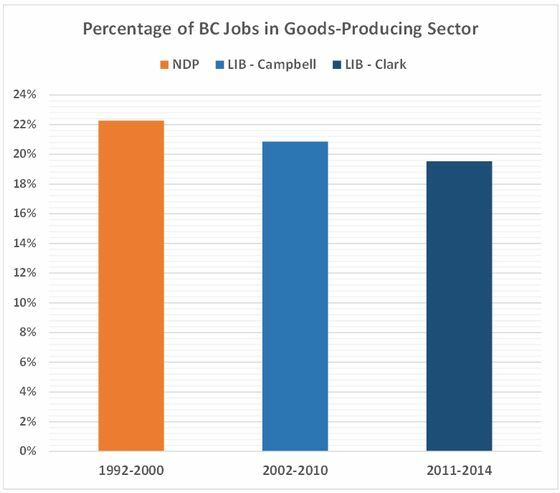 One fable claims that BC Liberals rescued the provincial economy in 2001 after a decade of socialist mismanagement. Yet facts assembled by Statistics Canada paint a different scenario. 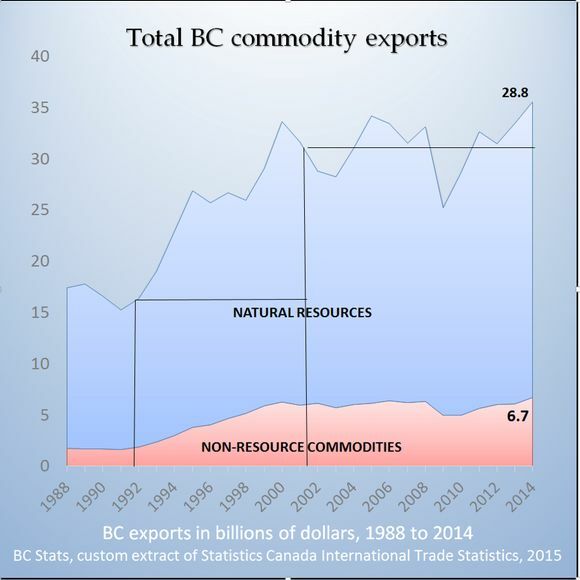 Yet, the level of taxpayer support paid to BC's mostly foreign owned resource industries is currently at unprecedented heights. While the Liberal Government withdraws from resource taxation, it increases direct and indirect corporate welfare to metal, mineral and gas producers. Apparently that style of socialism doesn't bother Shepard and fellow astroturfers. The grid marks I added but the graph was published by Resource Works, the organization headed by former Vancouver Sun editor Stewart Muir, who may or may not remain married to Athana Mentzelopoulos, Premier Photo Op's long time sidekick. Muir's organization is part of the resource industry's multi-million dollar PR campaign to counter facts revealed here and in other independent media sites. Resource companies are also spending heavily in the corporate media, aiming to convince citizens they are paying more than a fair share in taxes. Obviously, the cash spent on advertising is substantial but it purchases pro-media loyalty and is far less than what might have been paid in taxation under a different government. Current and former journalists have made their own Faustian bargains and, sadly, Jas Johal - once a diligent and dedicated reporter - is among them, acting as spokesman for LNG proponents who will invest money here if they are guaranteed sufficient profits and no risks or net taxes. The only public officials favouring the deals are those with no souls to sell. There is one additional fact that won't be shared by industry spin doctors or the corporate media. In Liberal years 2002-2014, the number of jobs in forestry, fishing, mining, oil and gas averaged 42 thousand. 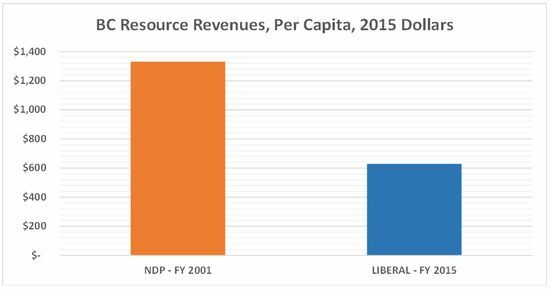 In the desperate NDP years 1992-2001, jobs in those resource sectors averaged 50 thousand. The 90's were the "happy times" in business and there was ample money being made and spent to keep the economy moving. Then came 9-11 and Gordon Campbell and business has been in a tailspin and it seems the only indicator of making money in this province (other than working for the BC Liberals) is real estate. First comment I have seen on Johal's sellout. Some months ago I first saw his face shilling for Christy's pals and I had to do a double take -- was this the same fearless objective reporter I had seen for years on the evening news? I had a lot of respect for him when he would handle the tough stories and most of the rest of his colleagues were reporting the lost or hurt puppy stories. "First comment I have seen on Johal's sellout." Nope. I pointed it out, as did others, that Johal showed his true colors when he screamed at Dix during a crucial moment of the '13 campaign. That's definitively when he proved who he really was, and shortly thereafter he made it official by resigning and was "promoted" to the big leagues, lol. Smythe bats right after him, and then Palmer, Baldrey, and the rest. It's the media's version of "murderers row". Disgraceful. Yes - many defended Jas, just like so many still defend Palmer (hello AGT! ), but either they are biased in ways that are impossible for us to understand, or their instruments are desperately in need of calibration. Yes Norm, many thanks indeed, for the "real" truths, you provide. Many people have been "dumbed down" by the MSM, and corpratist propaganda movement. Most folks are too worried about their next paycheck, or where the money to basically live, will come from. Corporate and government malfeasance, is alive and well in this province. The "intent" of which is to create a new form of serfdom, to be dominated by the elite, and manipulated by an Orwellian state. Your education of the people via this website, should be required reading by all. Kleptocratic regimes, and Corpratists alike, spend enormous amounts of money on propaganda, ( not spin, tell it like it is), that many people buy into without further thought. The truth, we are told is "their truth" not reality. We have to "wake up" quickly in this province. The sellout of "our" resources, continues, unabated. We should take a lesson from the first nations in this regard. True power resides where one cannot be bought, and who takes control of the agenda. This is the method that must be adopted by the average citizen in this province. Become a vocal proponent of the "peoples resources", and question every "government decision and policy". Challenge them at every turn, insist upon transparency. Where resistance is found to these ideas, is where governance is weak. This government is a sham, a ship of fools who think they can because no one challenges them. No argument about it---at least no good one: the supposed "dark age" of the NDP 90s is one of the most spurious and easily refuted bits of BC Liberal propaganda. And, without specific, vigorous refutation from the top (remember Adrian, John! ), it is frustratingly accepted without much thought. Job is to undo that, first to rehabilitate the misinformed, and, second, as just one more example of BC Liberal mendacity. Keep those graphs coming, Norm---really good T-shirt ammo, requiring the simplest (which is always best when trying to rouse sleepy-headed British Columbians) of captions: "BC Liberal Lies". Don't even need to quip, "Had Enough Yet?" One look gets the job done. I totally agree Scotty...we have to get the message to the masses, the key is how.The MSM propaganda machine only allows "the privileged" to air their truths, unless of course it suits their overall plans. We need a forum that Norm's information can be presented in that goes far beyond the blogsphere. Somehow there has to be a way to do this. Norm's research and investigative reporting should go high profile. Any idea's? The truth must be heard, and the people educated in the way that the malfeasance in this province's governance, works and continues unabated. Norm i love your graphs and charts for their devastating realities. I am a blue collar kind of guy so i have ideas but not the aptitude to bring them to fruition. Since many British Columbians can only interpret government malfeasance in nautical terms (ie fast ferries) i think a tongue in cheek graph showing the many MANY Neo -Liberal transgressions , cost over runs and incompetent business practices in the form of tiny pictures of fast ferries. As in BC place roof cost over runs would be 2 and a half fast ferries, where as the new Port Mann would be 4 or more fast ferries. Im sure it would be a good thing for the NDP to plaster posters around the next election time but i wouldn`t trust them to find their own asses with a map and a flash light. I know its not your job and if it never comes to light thats ok i just needed to express this idea and you were the only one i "know" that could pull it off. You dont have to post this if you wish. But just imagine the huge list with all the little fast ferries .A huge reality check. Speaking of the Liar's Club, I seem to remember that the Bc Progress Board (a bunch of large employers) was charged with reoporting to Gordo how bad the condition of the province was. thei0r 2002 report (on 2001) identified some major needs for capital investment, which hadn't happened from well into the 1980s, and a need to address crime, but overall they said the province wasn't in bad shape, and that included its debt. That's right - the debt of the province was not only manageable, but had been wisely invested. Of course, this didn't suit Gordo's handlers who wanted every day to be the day before election day, so that report was given a cursory once-over by the MSM and filed in a drawer. And you'll never heard anyone make reference to it today. IO wonder who even has a copy any more? The website is long gone. I have to conclude that they don't comment because you haven't left them a leg to stand on. I'm sure they are lurking… but it would be nice to know what they think of your inconvenient truths. Paul Allen Keenleyside, who comments on the Province FB threads, has said that you "give the Left what they want to hear." I've invited him twice to drop by and speak his mind. I want to hear that, too. I'm sure you're right when you suggest many of us don't always comment..... could be that Norm does such an excellent job...there's nothing left but to realize that the government spends too many millions shoveling out the lies. Comments that I consider "drive by" efforts not intended to contribute to a reasonable conversation are not posted. Similarly, I don't welcome items that are rude or profane or comments delivering obvious misinformation. The test is, "Would I welcome the conversation in my family room." Aristotle wrote a statement is "persuasive and credible either because it is directly self-evident or because it appears to be proved from other statements that are so.” I try to live up to that style of argument, although I do admit to sometimes falling short. It's just that some of the research leaves me angrified. I assure you that the Left does NOT wish to hear of the 'inconvenient truths' - we wish that they weren't necessary. Norm's is a small but important voice in a sea of corruption, ineptitude, graft and bribery, to name but a few of the current government's attributes. One would hope that the only "positive" news to be reported on this site would be the criminal prosecutions and corruption enquiry testimony that would be forthcoming when the tide of history turns in favor of the public's right to know and total government and political party accountability. The "attributes" of this government as you put it, must not be condoned any further, and a means must be found to engage both the public and commercial crime investigators, to investigate fully and completely the attributes of which you speak. "Now in his seventies, (former BC Hydro CEO) Marc Eliesen, has worked in the nation’s energy sector for four decades, and has also served as Chairman and CEO of Ontario Hydro, and chairman of Manitoba Hydro.